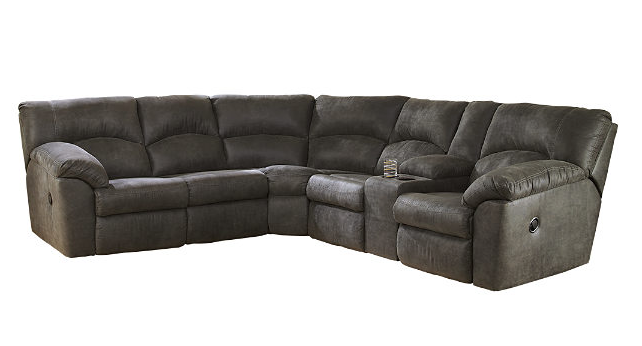 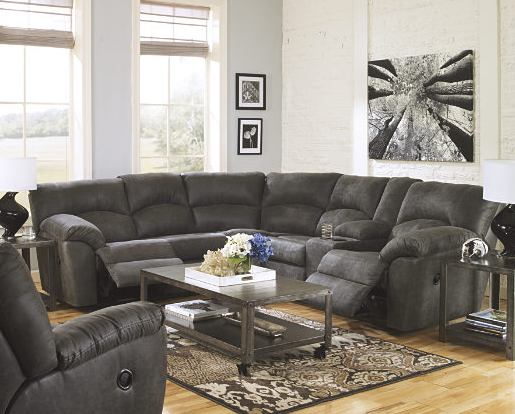 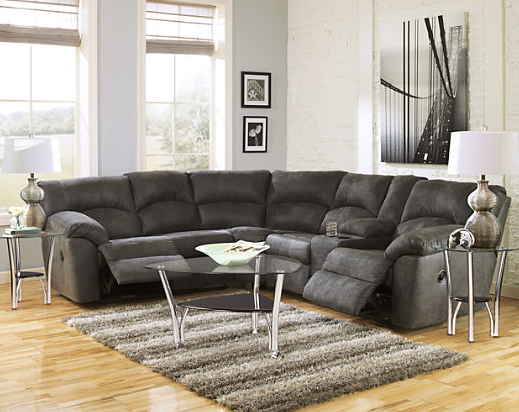 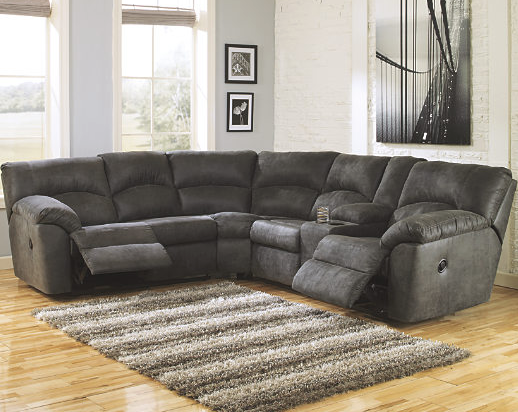 With plush cushions and wraparound pillow-top arms, the Tambo 2-piece sectional takes comfort to a whole new level. 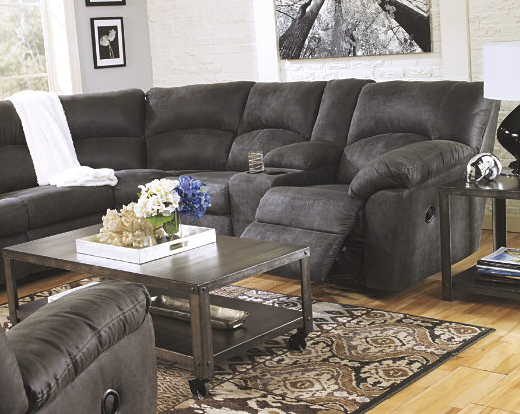 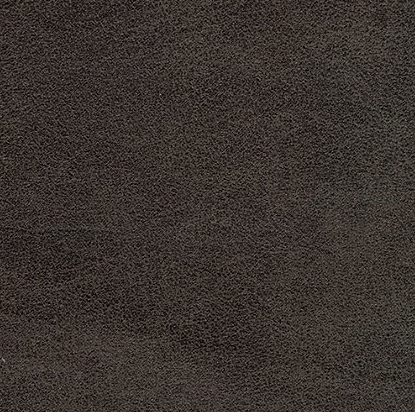 Faux vintage leather requires minimal care, making this relaxation station ideal in homes with children and pets. 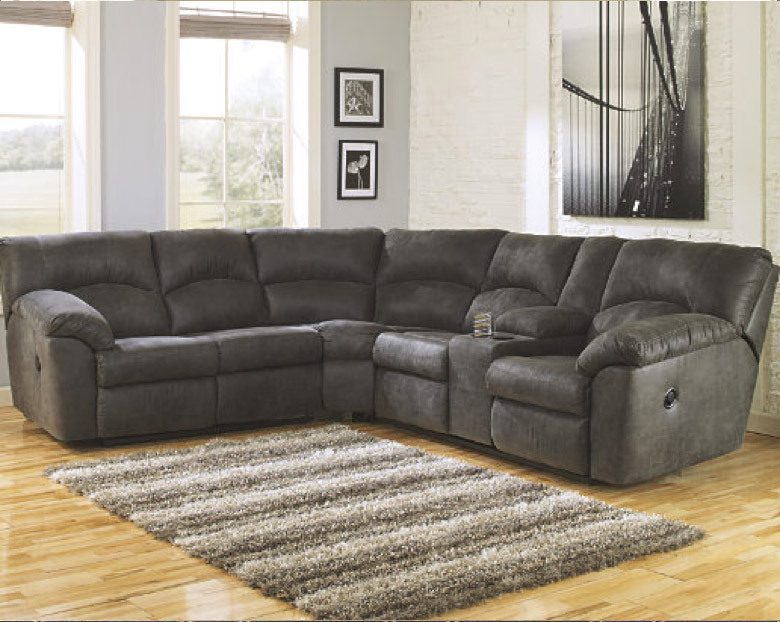 Reclining feature engages with the pull of a tab, putting total relaxation at your fingertips.